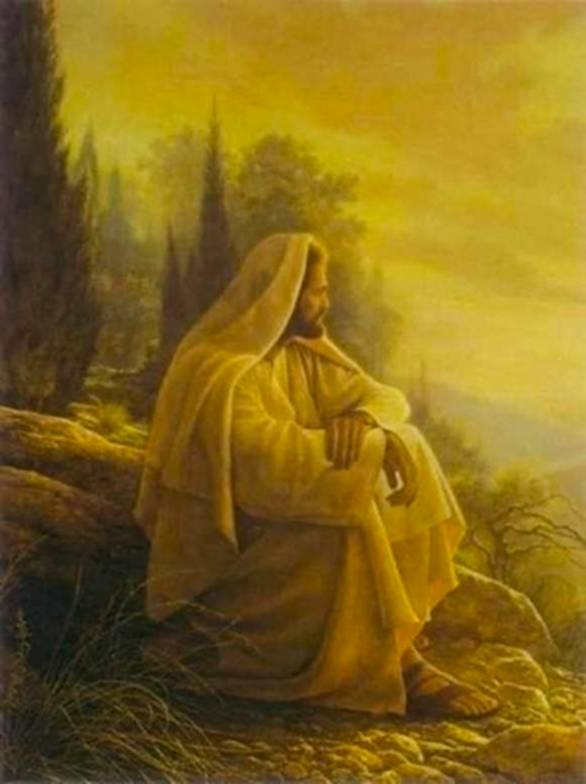 In the English language version of the Lord’s Prayer there is a tendency to consider as connected the two phrases, Thy kingdom come and that which follows, Thy will be done. This is partly so because, like a couplet, these two phrases have identical meter and the last syllables rhyme, at least approximately. However in consulting the commentaries of Church Fathers on the Lord’s Prayer, the view instead emerges that the phrase Thy kingdom come is more naturally linked with the preceding Hallowed be Thy name to form a unitary concept. Consider when it is that we best and most naturally praise and thank God. Is it not in our moments of greatest joy and happiness? When some unexpected windfall occurs, do we not exclaim, or literally gush, “Thank you God!”, even, if in public, letting everyone around witness? Anyone seeing this understands exactly how we feel. There is nothing contrived or artificial. It is a natural expression of extreme, consummate happiness. Notice also how much more such spontaneous, heartfelt exclamation of thanks and praise glorifies God, that is, hallows God’s name, more than merely reciting a prayer with labored effort, even though that may be quite sincere. No, if we truly wish to most praise God’s name, then we must wish to have joy and happiness, for this makes our desire to hallow God’s name the greatest. Our happiness, which is itself evidence of God’s supreme love for us, and the thanks and praise this elicits, glorifies God. This is an important insight. For how much better it is to pray for what we truly desire (i.e. happiness), and how much more strong such authentic prayer may be, rather than to merely make ourselves pray for what we believe we ought to pray for! But then consider how the only way we can reach such states of happiness is when we surrender control, letting go of myriad forms of ego-drivenness, and let ourselves instead be guided by the Holy Spirit; and so inspired by grace, do God’s will, and by that to discover to our delight that what we have done brings some happy outcome. Previously we considered the suggestion that this surrender to the guidance of God is the main meaning of the kingdom (i.e., reign, kingship, rule, dominion) of God, a detail evident in other languages but somewhat obscured in English. Therefore these two phrases, Hallowed be Thy name and Thy kingdom come are linked to form a unitary concept. The desired end is stated first, and then the means: the end is to reach a condition of true happiness, and the means to discern and follow God’s guidance. We pray for these not in an abstract or remote sense, but for them to happen now, today, this hour or moment if possible. We pray to return to the condition which we may call, without trying too hard to define it precisely, the state of grace. 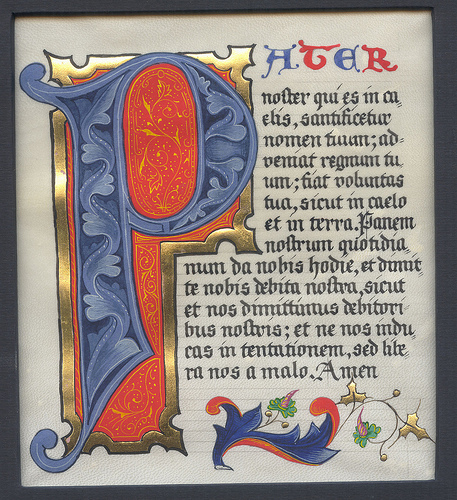 An ancient and rare manuscript tradition (see e.g., here) has a variant form of the Lord’s Prayer as given in Luke’s Gospel (Luke 11). In place of Thy kingdom come it reads, “May Thy Holy Spirit come upon us and purify us.” This supports our view, shared by St. Gregory of Nyssa  among others, that to pray Thy kingdom come is in essence the same thing as to pray, Come Holy Spirit. 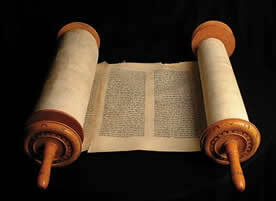 The words which follow, Thy will be done, would then be understood as linked with on earth as it is in heaven. We may address the significance of this another time. Graef, Hilda C. (editor, translator). Gregory of Nyssa: The Lord’s Prayer, The Beatitudes. (Ancient Christian Writers, No. 18). New York: Paulist Press, 1954. (pp. 52–53, 56). The following is a list of Patristic commentaries on the Lord’s Prayer, with links to original-language versions and English translations. The Lord’s Prayer is a pearl of great price, a treasure of Christianity, the value of which is often obscured by its very familiarity. Tertullian rightly called it “truly the summary of the whole Gospel.” (De oratione 1; Migne PL 1,1155). More than a simple prayer, the Our Father constitute a spiritual exercise, a form of meditation and contemplation, and a complete philosophy of life, all contained in a few lines. It is vital that Christians learn to pray it reflectively, with understanding. For this we have numerous commentaries of Church Fathers to assist us. Perhaps no better preface for the following can be found than the following remarks of St. John Cassian, taken from Conferences 9 (full citation supplied below). This prayer then though it seems to contain all the fullness of perfection, as being what was originated and appointed by the Lord’s own authority, yet lifts those to whom it belongs to that still higher condition of which we spoke above, and carries them on by a loftier stage to that ardent prayer which is known and tried by but very few, and which to speak more truly is ineffable; which transcends all human thoughts, and is distinguished, I will not say by any sound of the voice, but by no movement of the tongue, or utterance of words, but which the mind enlightened by the infusion of that heavenly light describes in no human and confined language, but pours forth richly as from copious fountain in an accumulation of thoughts, and ineffably utters to God, expressing in the shortest possible space of time such great things that the mind when it returns to its usual condition cannot easily utter or relate. Compilation of the list was considerably facilitated by: Petiot, Henri (alias M. Daniel-Rops; editor); Hamman, Adalbert (translator). Le Pater expliqué par les Pères. (2nd ed.) Paris: Éditions Franciscaines, 1962. Authors are listed chronologically, in order of year of birth. Notation: Migne PL = J. P. Migne (ed. ), Patrologia Latina; Migne PG = J. P. Migne (ed. ), Patrologia Graeca. English: O’Meara, John Joseph (editor, translator) Origen: On Prayer, Exhortation to Martyrdom. (Ancient Christian Writers, Vol. 19) Paulist Press, 1954. (pp. 65–129); also Curtis, William Alexander (translator). Origen: On Prayer 15. Date unknown. English: Graef, Hilda C. (editor, translator). Gregory of Nyssa: The Lord’s Prayer, The Beatitudes. (Ancient Christian Writers, No. 18). New York: Paulist Press, 1954. (pp. 21–84). 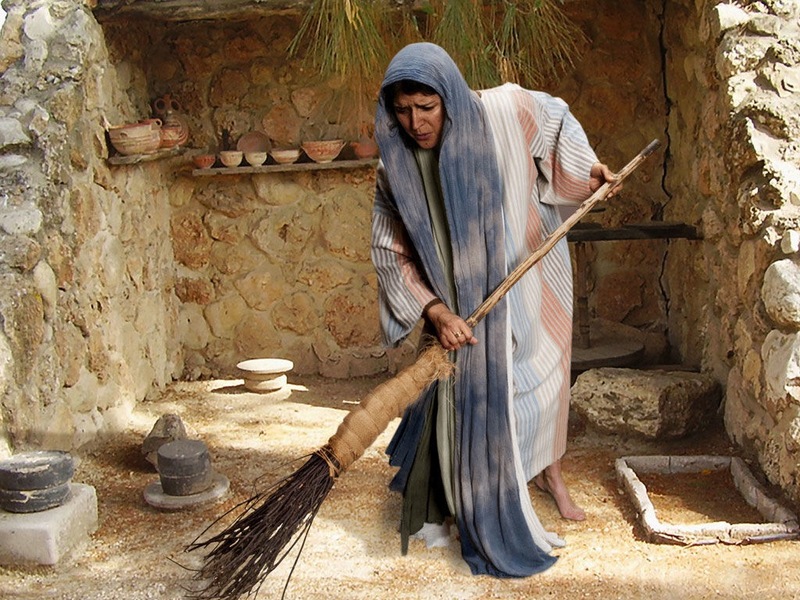 Coptic: de Lagarde, Paul. Catenae in Evangelia Aegyptiacae. Gottingen, 1886 (reprinted Osnabriick, 1971). English: Casiday, Augustine (editor, translator). Evagrius Ponticus. (The Early Church Fathers). Routledge, 2006. (pp. 150–152). Syriac: Tonneau, Raymond; Deveesse, Robert (editors). Les homélies catéchétiques de Théodore de Mopsueste (Studie e Testi, 145), Vatican City: 1949. English: Ganss, George E. (editor, translator). Saint Peter Chrysologus: Selected Sermons; and Saint Valerian: Homilies. (Fathers of the Church, Vol. 17). CUA Press, 1953. (Sermons 67, 70; pp. 115–123); Palardy, William B. (editor, translator). Peter Chrysologus: Selected Sermons, Volume 2 (Fathers of the Church) CUA Press, 2004. (Sermons 68, 69, 71, 72; pp. 274–296). English: Palmer, G.E.H. ; Sherrard, Philip; Ware, Kallistos (editors, translators). The Philokalia, Volume 2, Macmillan, 1982. (pp. 285–305); Berthold, George Charles (editor, translator). Selected Writings of Maximus Confessor. New York: Paulist, 1985. (pp. 99–126). Hammerling, Roy. The Lord’s Prayer in the Early Church: The Pearl of Great Price. Palgrave Macmillan, 2010. Simonetti, Manlio (ed.). Matthew 1-13. (Ancient Christian Commentary on Scripture). InterVarsity Press, 2001. (pp. 130–139). I’ve recently written about an approach to biblical interpretation that is, on the one hand, scientific and psychological, and, on the other, non-reductionistic and faithful to Christian teaching (e.g., here, here, and here). 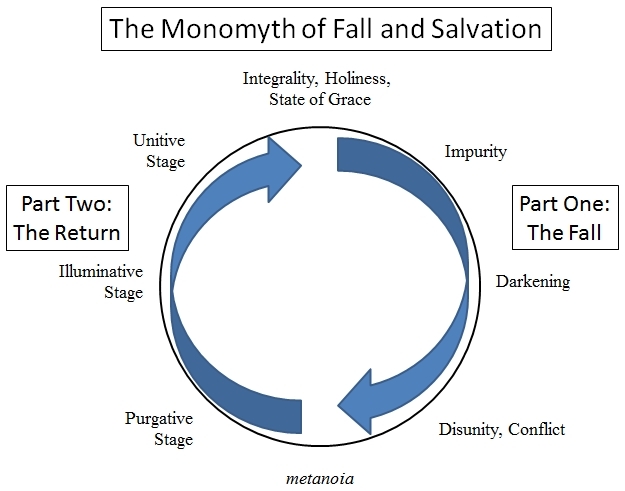 It takes as its basic principles: (1) that a central concern in every Christian life is the injunction of St. Paul, Be ye transformed by the renewing of your mind (Rom 12:2); (2) that this transformation must include a psychological metamorphosis that encompasses both the modern meaning of psyche as mind and its classical meaning as soul and, and includes the moral, intellectual, volitional, and desiring aspects of human nature; (3) that the Bible supplies a detailed plan for effecting this psychological transformation; and (4) much of this plan is ‘encoded’ in figurative language and requires careful attention and a contemplative frame of mind to recognize and understand. The approach I’ve suggested could be described as a more modern version of the allegorical methods used by Philo of Alexandria (Philo Judeaus) and by many Church Fathers, including Origen, St. Augustine, and St. Gregory of Nyssa. The question considered here is what to call this method. Below are some alternative terms and various pros and cons of each. The terms are grouped into three categories. In the first are several terms that seem basically correct, but perhaps too general. The second includes those terms which I consider the best of those currently in use. The third lists several modern terms that are questionable, but which are included for completeness. I also thought it might be helpful generally to list all the various terms in use today to denote this sort of allegorical exegesis in one place. The short bibliography at the end contains some references that appear especially pertinent, but is by no means comprehensive. I hope to add information to this post as I run across new terms or references of interest. The present, then, could be considered just a down payment or first installment. allegorical exegesis. This is perhaps the most widely used term today, but it has two drawbacks: (1) it is nonspecific, as there are a variety of different ways to allegorically interpret Scripture (psychologically, morally, prophetically etc. ); and (2) over the centuries, ‘allegory’ has come to mean a figurative story that is not actually true (as in a fable). 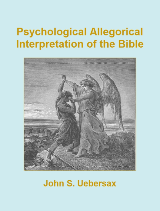 Thus, ‘allegorical exegesis’ might imply to some people that what is being interpreted (the Old Testament or the New Testament) is not historically true. This connotation of non-historicity is not implied by the etymology of the word itself, which comes from alla (different) and agora (assembly) – thus allegory literally suggests ‘that which one would not say in the crowd’ or basically a hidden meaning as opposed to a more obvious one. Nevertheless, even in ancient times the word allegory tended to imply that something had only figurative meaning. parabolic interpretation. From the Greek word parabole. 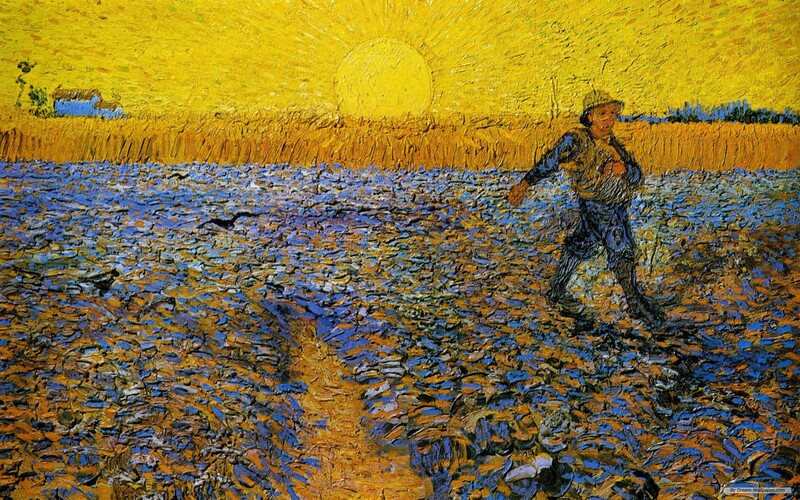 Because of its connection to the word parable, this term may again tend to suggest that the material being interpreted is not literally true. figurative interpretation. The principal disadvantage with this term that it is very nonspecific. It gives no clue at all as to the kind of truths that are being figuratively represented, or the principles by which they are decoded. nonliteral interpretation. Even less specific than figurative; too generic to be of much use. mystical exegesis. This could, following ancient Greek usage, imply a secret meaning. That is problematic in itself, because nonliteral meanings, while they may be subtle or hard to see, are not necessarily secret in the sense of being reserved for a few initiates. Further the term might be understood as denoting a connection with religious mysticism (e.g., withdrawal from the world, pursuit of ‘mystical experiences’ etc. ), which is not necessarily or even usually the case with the form of exegesis being considered here. hyponoia. Another word used by the ancients, meaning basically ‘knowledge beneath the surface.’ Like the other terms above, this doesn’t indicate the nature of deeper knowledge being sought, or how it is obtained. noetic exegesis. This term was apparently first used (at least, in connection with Biblical interpretation) by Eric Osborn (1995, 2005), and later by Blossom Stefaniw (2010). ‘Noetic’ here has two relevant aspects. First it implies a search to uncover meanings in Scripture that help to improve or transform the nous (i.e., the ancient Greek word for what we might call the Intellect or higher Reason, and which in Greek patristic literature is sometimes considered to be the immortal human soul itself). Second, the method itself can be properly called noetic insofar as it seeks to go beyond literal meanings of words (understood by discursive thought, or dianoia) to the deeper intelligible truths discernible only to the apprehending, nondiscursive part of the mind (nous). One possible limitation of this term is that the form of exegesis we are considering involves more than just the apprehending, noetic intellect. Discursive thinking is also involved in relating intuited principles to one another other or to facts and memories, to envision applications in ones life, and so on. 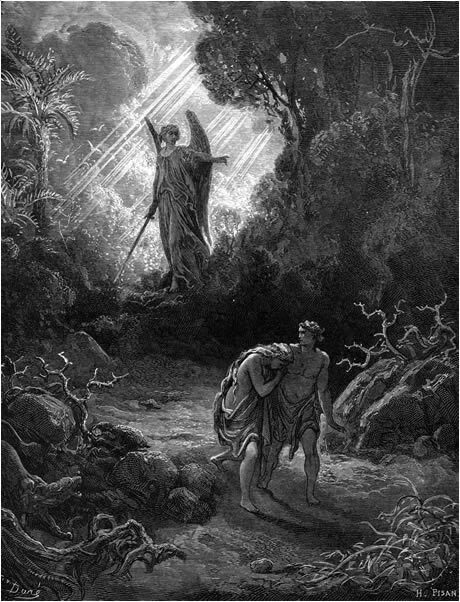 For example, reading the story of Cain and Abel, it might strike one as a noetic inspiration that the two figures symbolize competing negative and positive elements of ones mind or psyche. But then one might go on to compare these two figures with other, similar pairs – Jacob and Esau, Moses and Pharaoh, etc. To elaborate the noetic insight would involve use of other mental powers. The term gnostic exegesis, more or less a cognate, has some ancient precedent, but would likely invite unwanted associations to Gnosticism if used today. sapiential exegesis. This could serve about equally well as noetic exegesis as a terminological convention. It implies both that the object of exegesis is to gain wisdom, and that wisdom is needed to apply the method. anagogical exegesis. This is a very interesting term, used by some Church Fathers and also in the Middle Ages. Originally it meant ‘going or being led higher’, which could be understood in this context to mean any or all of the following: seeking a higher meaning in Scripture; using exegesis to attain a higher level of mental/spiritual development; elevating one’s mind by interpreting Scripture; or contributing generally to an uplifting movement or current of thought (Laird, 2007). 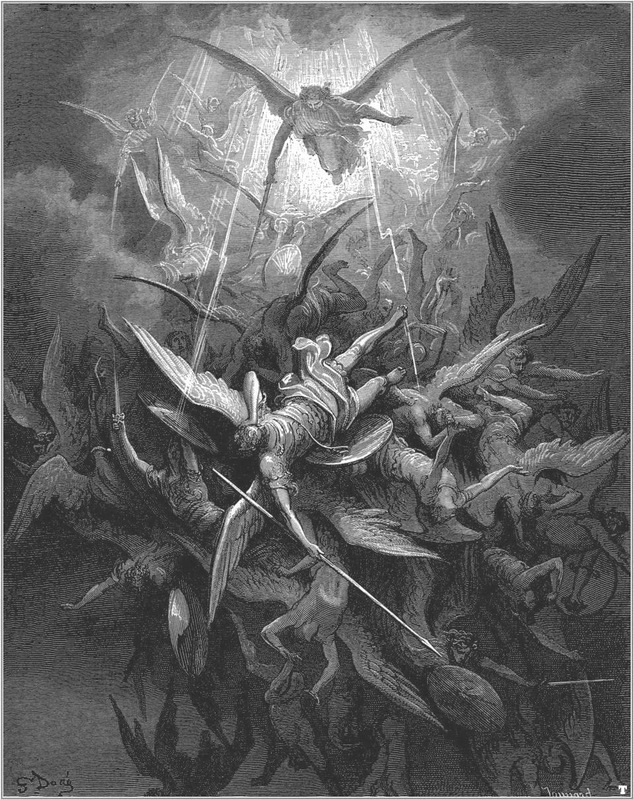 In the Middle Ages, “anagogical” exegesis often became focused on finding allusions to the afterlife of the soul in Scripture, a different usage which might conflict with the more sapiential meaning of the term. Also, even in the older and original sense (i.e., of the Church Fathers), anagogical exegesis spans two somewhat distinct levels of meaning of Scripture: those corresponding to what Origen called the psychic (soul) versus pneumatic (spiritual) levels. Relative to Origen’s distinction, our principle interest here is psychic level – i.e., the level of psyche: mind, intellect, rationality, will, desire, and emotion. The other, higher Origenistic sense of anagogy, which suggests a connection to higher mystical states, including an apophatic union with God free from all concepts or thoughts, is not our immediate concern here. spiritual or pneumatic exegesis. As suggested above, it could be argued that these terms should be reserved for a level of exegesis that relates to the highest levels of spiritual development and union with God, e.g., apophatic experience. theoria or theoreia. This term, often used by St. Gregory of Nyssa in connection with exegesis, has two relevant meanings for us. First it can mean contemplation in a sense that is basically the same as noesis: an understanding of the intelligible meaning of Scripture, as opposed to its historical and literal meanings. Second, it can imply what we today might call a theoretical or scientific understanding, i.e., of the rules and principles of our moral purification and spiritual advancement as figuratively presented in Scripture. Finally to be considered are four modern psychological terms. psychological exegesis. This term is appropriate, provided we understand psyche in the traditional sense that includes both mind and soul. However, left unqualified or taken out of context, the term might be misunderstood to imply a connection with modern, reductionistic psychological theories. An alternative term, following Origen, might be psychic exegesis. depth-psychological exegesis. This term has been used in recent decades mainly by certain German scholars. However ‘depth psychology’ can have several different meanings. Most who have used the term have meant it in a fairly restrictive sense as implying a basis in psychoanalytic or Jungian theory; Joseph Cardinal Ratzinger/Pope Benedict (2008) made some harsh criticisms of depth psychological exegesis, but he was referring to this more restrictive meaning of the term. My own view is that the kind of exegesis we are considering here is accurately termed ‘depth psychological’ in the sense that it includes in its scope certain processes in the depths (or heights) of the human psyche, but not in the sense of corresponding to Freudian or Jungian theory. psychodynamic exegesis. Most of the problems with the preceding term would apply here as well. existential exegesis. A good term in that it implies existential relevance to the individual, but it potentially inherits all the ambiguity associated with the nebulous word ‘existentialism’. Overall, of all the terms considered here, perhaps the best are sapiential exegesis, noetic exegesis, and anagogic exegesis. In the end, we might consider that this form of exegesis may be such that it is inherently impossible to define a single term. Why? Because perhaps the very mental processes were are investigating here – noesis, intellection, discernment, etc. – are the very ones by which we know intelligible principles and assign or interpret names. In other words, it may be something of an ‘error of logical typing’ to try to name the very processes by which we name things. I wouldn’t insist on this view, but it does seem like a possibility. However to the extent it might be true, we may need to content ourselves with a more ‘poetic’ or intuitive approach to naming this style of exegesis: to have, for example, multiple names, each one highlighting a different aspect, and to use these different names in a fluid and flexible way. The passage below shows that even as inspired an exegete as St. Gregory of Nyssa recognized the difficulty of finding a single term for this form of exegesis. In the passage below, from the Prologue to his Homilies on the Song of Songs, he uses a wide range terms. In the end, we should not forget that this form of interpretation is not a name or concept, but an experience. Because some members of the Church always think it right to follow the letter of holy scripture and do not take into account the enigmatic [αινιγμάτων] and deeper meanings [υπονοιών], we must answer those who accuse us of doing so. … If anything in the hidden, deeper [έπικρύψεως έν ύπονοίαις], enigmatic [αινίγμασιν] sense cannot be cannot be understood literally, we will, as the Word [Logos] teaches and as Proverbs says [Pro 1.6], understand [νοήσαι] the passage either as a parable [παραβολην], a ‘dark’ saying [σκοτεινόν λόγον], sage words [ρήσιν σοφων], or as a riddle [αινιγμάτων]. They instruct not only through precepts but through the historical narratives: both lead to knowledge of the mysteries [γνωσιν των μυστηρίων] and to a pure way of life [καθαράν πολιτείαν] for those who have diligent minds. St. Paul also uses exegesis [έξηγήσει] looking to what is most useful, and he is not concerned about what to name the form of his exegesis [έξηγήσεως]. … And there is a passage where he calls the more obscure comprehension and partial knowledge [γνωσιν] a mirror and a riddle [αΐνιγμα ](1 Cor 13, 12). And again he says the change from literal[σωματικων] meanings to noetic [νοητά] is a turning [έπιστροφην] to the Lord and a removal of the veil (2 Cor 3, 16). But in all these different figures and names for noetic interpretation [νουν θεωρίας] he is describing one form of teaching to us, but we must [sometimes] pass over to the immaterial [αϋλόν] and noetic interpretation [νοητην θεωρίαν] so that more corporeal thoughts are changed into something perceived by the intellect and rational mind [νουν και διάνοιαν], the more fleshly meaning of what is said having been shaken off like dust (Mt 10, 14). And he says, “The letter kills, but the spirit gives life” (2 Cor 3, 6), because in many passages the historical account does not provide examples of a good life if indeed we stop at the bare facts. All these and similar examples should serve to remind us of the necessity of searching the divine words, of reading [προσέχειν τη άναγνώσει] them and of tracing in every way possible how something more sublime [ύψηλότερος] might be found which leads us to that which is divine and incorporeal [θειότερά τε και άσώματα] instead of the literal sense [διάνοιαν]. Unless a person contemplates the truth through philosophy [φιλοσοφίας ένθεωρήσειε την άλήθειαν], what the text says here will be either inconsistent or a fable [μυθωδες]. ~ St. Gregory of Nyssa, Homilies on the Song of Songs, 5.10-7.5; based on (with a few word changes) McCambley (1987) and Heine (2012), pp.362–363; MPG 44 775ff. ; italics mine. Beier, Matthias. ‘Embodying Hermeneutics: Eugen Drewermann’s Depth Psychological Interpretation of Religious Symbols‘. Paper presented at the Mid-Atlantic Regional Meeting of the American Academy of Religion, New Brunswick, NJ, March 1998. Heine, Ronald E. ‘Gregory of Nyssa’s Apology for Allegory.’ Vigiliae Christianae, 38(4), 1984), pp. 360–370. Laird, Martin. Gregory of Nyssa and the Grasp of Faith. Oxford University Press, 2007. Lauro, Elizabeth Ann Dively. The Soul and Spirit of Scripture within Origen’s Exegesis. Leiden: Brill, 2005. Martens, Peter. Origen and Scripture: The Contours of the Exegetical Life. Oxford University Press, 2012. McCambly, Richard Casimir. ‘Notations on the Commentary on the Song of Songs by Gregory of Nyssa.’ < http://www.lectio-divina.org > Accessed 23 Nov. 2013. Osborn, Eric Francis. ‘Philo and Clement: Quiet Conversion and Noetic Exegesis.’ Studia Philonica Annual, 10, 1998, 108–124. Osborn, Eric Francis. Clement of Alexandria. Cambridge University Press, 2005. Ratzinger, Joseph Cardinal. ‘Biblical Interpretation in Conflict.’ In: Joseph Cardinal Ratzinger (author), José Granados (editor), Carlos Granados (ed. ), Luis Sánchez Navarro (ed. ), Opening Up the Scriptures: Joseph Ratzinger and the Foundations of Biblical Interpretation, Eerdmans, 2008. Stefaniw, Blossom. Mind, Text, and Commentary: Noetic Exegesis in Origen of Alexandria, Didymus the Blind, and Evagrius Ponticus. Peter Lang, 2010.